On 30 November 2016, the lawyers of WRPK received a call from the Immigration Department inviting the Sri Lankan refugee to Castle Peak Bay Immigration Centre (CIC) to collect a “Form 8” recognizance document. Without such forms refugees are unable to approach the Social Welfare Department (SWD) for welfare assistance, or the Hospital Authority for medical wavers, as these documents are required by government departments to verify the ongoing status of asylum seekers. What is highly unusual about this case, is that WRPK was denied a “Form 8” since he was released on court bail in October 2013, despite the best efforts of his legal team. For more than three years he suffered severe destitution and was unable to meet his most basic needs of shelter and food, as refugees are banned from working. Several legal letters seeking assistance in this respect went unattended. In April 2015 Vision First emailed the Immigration Department informing that the delay was “causing WRPK preventable and unreasonable hardship”, for reason that he could not wait indefinitely for the court verdict before being issued with a recognizance form as he was destitute. A few days later Immigration responded, “WRPK may approach the SWD and, for the purpose of clarifying his non-refoulement claimant status, SWD will inquire our Removal Assessment and Litigation Section.” It sounded hopeful. Where criminal charges do not merit immediate custodial sentences, it is one issue to demand that refugees attend court while released on bail with government assistance, while it is another one to expect impoverished refugees to undergo lengthy prosecution without welfare. This procedural gap is inherently wrong. Such a failure amounts to a cruel and degrading treatment that indeed promotes “constructive refoulement”, that is, indirect policies that discourage refugees from claiming asylum and encourage voluntary departures from Hong Kong. Vision First is disturbed by this case because the magistrate was repeatedly informed that the defendant had been denied welfare – but nothing was done. Time and again, the defense team informed the court it was the prosecution’s duty to inquire with Immigration the reasons why a recognizance form would not be issued – but nothing was done. Ignoring the predicament of a vulnerable refugee, the court adjourned the case repeatedly for three years, while WRPK remained destitute. Further, Vision First is concerned that the magistrate Joseph To may have prejudiced WRPK rights by demanding that he attend court every two weeks, instead of the customary three months, pending the result of his USM claim. This exercise in futility is an avoidable waste of the court’s time considering that asylum bids may take up to a decade. To make matters worse, the magistrate set an otherwise quick adjournment to the last order of the day, forcing WRPK and his legal team to sit on the benches wasting government resources. Is the noose tightening around the neck of refugees? Vision First attended court yesterday to witness two refugee members being prosecuted for allegedly working unlawfully. The prosecutor revealed that the employer will testify as a witness. Bail was denied. Let’s stop and think. Wouldn’t it normally be the case that prosecutors seek the assistance of the unlawfully employed persons to indict unscrupulous employers, rather than the other way around? Generally speaking, how can refugees conscientiously abide by the law when the material assistance they received fails to meet their most basic needs, rent in particular? Aside from promoting a regrettable form of xenophobia and widespread misinformation, it appears that the Government is accomplishing little more than slamming the door shut for refugees who mistakenly hoped for a more favorable outcome when seeking refuge in Hong Kong. A plethora of problems germinates in the the well-known failures of the Unified Screening Mechanism to then spread through various branches of government tasked with dealing with refugees and finally reach deep down in the underground economy where a growing number of destitute asylum seekers are forced to find informal relief. First, one might consider the statistics published by the Immigration Department informing that, between 2009 and 2016, just 55 of 9214 asylum claims were substantiated. This equates to a success rate of 0.6% for seeking asylum in Hong Kong compared to 30-50% in European countries, for example. Despite authorities being quoted as saying that this rate is indicative of abuse, one might question the credibility of the process that rejects 166 for every 1 case accepted. That being said, few people realize that successful claimants do not earn the right of abode, will not get ID cards, are prohibited from working under penalty of 36 month prison (maximum sentence) and, together with the other 11,169 asylum seekers, must rely on a monthly assistance of 1200$ in food coupons, 1500$ in rent assistance and about 500$ for utilities and transport. Second, packaged as ‘humanitarian assistance’ the above assistance was designed to remove the sting of destitution in one of the most expensive cities in the world. That is of little consolation for eleven thousand men, women and children who are expected to cope gratefully, or face hefty prison sentences for ‘breaking the law’ by earning necessary cash on the side. Such ‘humanitarian assistance’ is in fact more a curse than a blessing. It pulls a seemingly compassionate mask over a draconian policy designed to quash hope in recipients. Overworked magistrates swiftly conclude that as welfare is provided, refugees who work illegally deserve to be incarcerated 15 to 22 months according to plea. Thus sentencing is reduced to little more than ticking the boxes with no consideration of real life circumstances. Third, the rental crisis is spiraling towards an abyss. On the one hand, contrary to general trends, prices for subdivided rooms have increased to at least 3000$, and availability is very scarce. 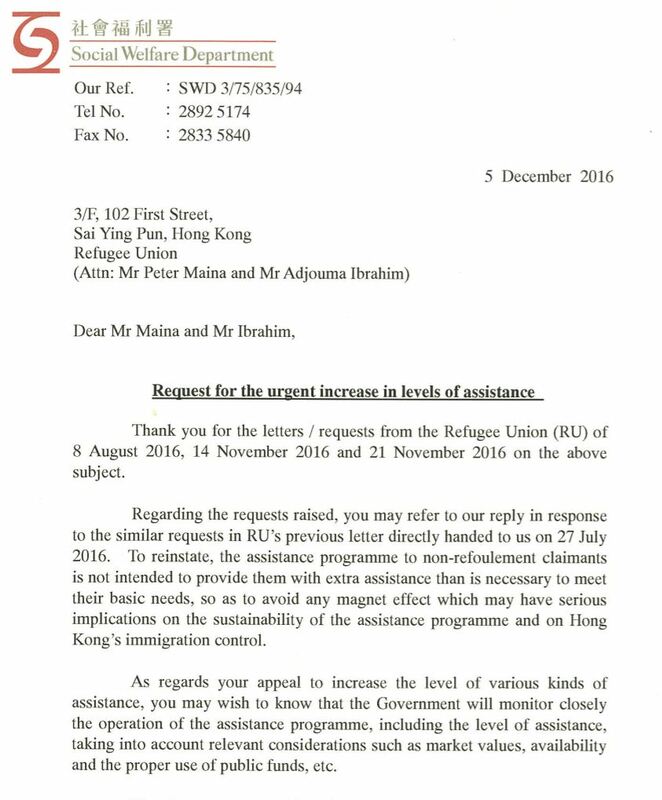 On the other hand, the SWD contractor ISS-HK is reported by refugees to have started to demand they produce letters from resident sponsors endorsing rent surpluses before new tenancy agreements are accepted for the disbursement of the meagre rent assistance. This could prove challenging. While some refugees may resourcefully raise funds, these are largely informal arrangements with friends, partners, donors and churches/NGOs that might not translate into sponsorship agreements. “People are going to lose their rooms and become homeless” commented a refugee who visited Vision First for advice. Fourth, an increasing number of refugees report that the Immigration Department demands detailed written significations. On the one side, the time it takes to lodge new claims is increasing, thus preventing destitute claimants from obtaining assistance. On the other, those whose application fails on signification are likely to abscond and are thus prevented from obtaining assistance. It isn’t hard to guess that these refugees will find support in the underground economy where also the lure of criminal activity is strong. Fifth, applications for “BOR 2 Claims” appear to be denied to a greater extent than before (Hong Kong Bill of Rights Ordinance, Art. 2). Until recently they were the last resort for rejected USM claimants fearful of imminent removal. Since it seems the government has yet to formulate a policy to deal with these claims, rejecting such applications might be a way contain a problematic surge. However, encouraging refugees to go underground creates graver problems. The maxim “better the devil you know than the devil you don’t” ought to be considered. Sixth, residents employ refugees due to a severe shortage of unskilled labour. For undocumented workers, monthly salaries in restaurants are up to 8000$ for washing dishes and 15,000$ for cooking. A team can be paid as much as 10,000$ to unload heavy containers, irrespective of time; while the pay is about 600$ a day for demolition work in flats and for night shifts repairing roads for government contractors. Refugees are indeed sought after, and encouraged to introduce friends, because local workers turn their nose on strenuous work, or expect higher payment. In this respect, the government ought to consider a “migrant labour scheme” which refugees could join with an agreement to leave Hong Kong afterwards. Seventh, a blatant inconsistency in criminal sentencing makes it attractive for desperate refugees to engage in criminal activity such as theft, soliciting or drug trafficking, rather than perform licit work as detailed above. For example, it has come to our attention that refugees might be sentenced to 8 months in prison for trafficking, 4 months for soliciting and a few weeks for shoplifting. Irrespective of moral concerns and social deviancy, the obvious imprisonment advantage is a factor. These issues combine to overwhelm refugees who are first failed by the government departments tasked to protect and assist them, and then exploited by landlords and employers who unashamedly prey on their need for cash. And when refugees are caught red handed, they are the ones to bear the consequences and the full weight of the law. Indeed, as a perceptive refugee succinctly put it, “Hong Kong is a closed club”, and membership is protected. It comes as no surprise that certain media outlets foment the flames of propaganda reporting every transgression by refugees who find the noose tightening around their neck in an increasingly toxic and unsustainable environment. Over the past week the local media reported that 11 Bangladeshi refugees were arrested and charged by the Independent Commission Against Corruption (ICAC) for allegedly defrauding the International Social Service (ISSHK) of hundreds of thousands of dollars in rent assistance over several years. Vision First cannot but question this approach in view of the following. From March 2013 Vision First systematically exposed hazardous slums in which hundreds of vulnerable asylum seekers were knowingly and intentionally settled by ISSHK with government funds credited as rent assistance, not into the bank accounts of the asylum seekers (they do not have any), but into the accounts of unscrupulous fixers and purported landlords who exploited refugee tenants. Gradually a disturbing picture emerged of at least 69 (sixty-nine) ghettos established by Hong Kong Chinese landlords in remote rural farmland and some located in dilapidated animal farms. These were distant from urban areas and hard to locate without particular knowledge. Among these ghettos, 64 (sixty-four) slums were situated in the geographical constituency of “New Territories West” represented by lawmaker and former head of the DAB party Tam Yiu-chung, who was also appointed a director of the board of ISSHK in 1999, a position he held until 2015. 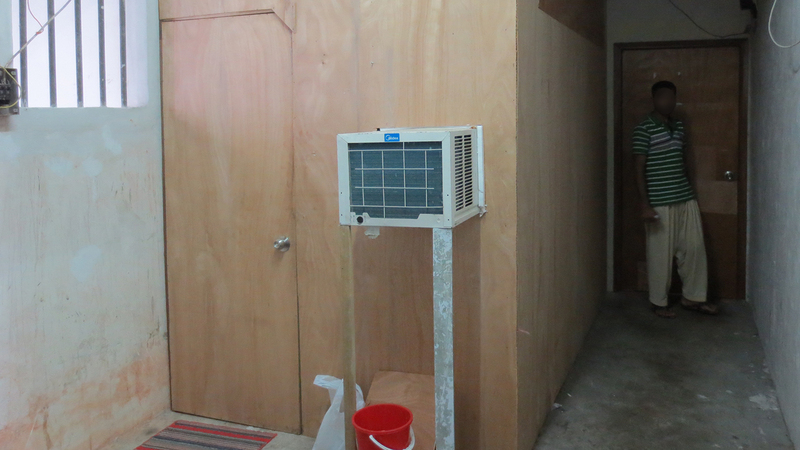 The remaining 5 (five) slums were allegedly supported by a fixer named Jane Chan, who operated an agency for foreign domestic helpers in Yuen Long, also within Tam Yiu Chung’s DAB controlled New Territories West. A fraudulent web of deception began to emerge. Reaching across distant rural lands, this complex scheme blatantly exploited destitute and homeless refugees who desperately sought urgent shelter in their darkest days of asylum seeking in Hong Kong. It appeared after attentive investigation that these refugees were exploited for financial gain by fixers who distributed and filled in ISSHK paperwork, by alleged landlords who provided false and/or misleading information, and by genuine landlords who rented out animal farms and agricultural land for residential use to unsuspecting and destitute refugees. Finally, ISSHK case-workers inspected and approved these unauthorized structures to intentionally settle the aforesaid homeless refugees for reasons that must be explained. It is highlighted that Mrs. Regina Leung, the wife of the Chief Executive of Hong Kong, Mr. C.Y. Leung, has at all material times and at present day been the Patron of ISSHK, and a participant with the ISSHK board of directors. To this effect, Vision First reported about a protest by the Refugee Union outside Government House in March 2014 which failed to draw the sympathy and support of Mrs. Regina Leung. The Vision First blog of 14 March 2014 is available here. What emerges is the picture and reality of an Orwellian “Animal Farm” environment controlled by and led by the consortium of ISSHK, real estate fixers and true/fake landlords. 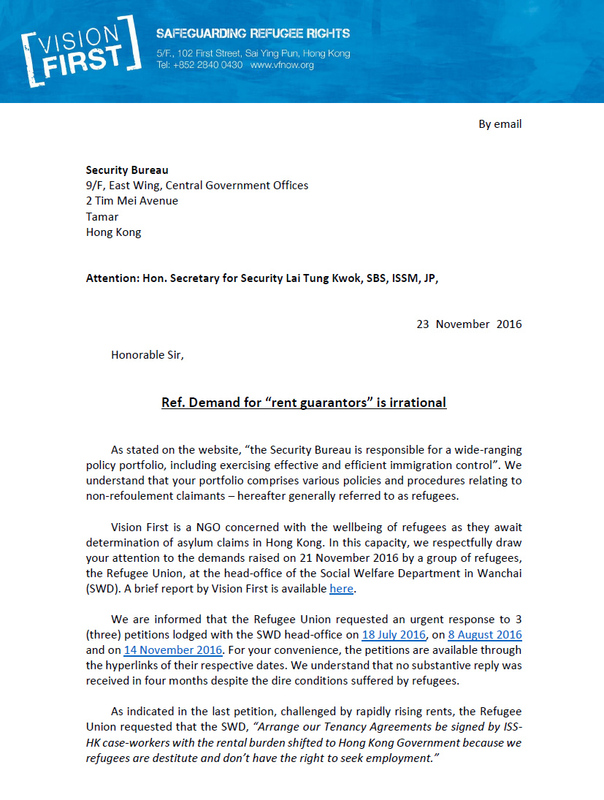 Vision First campaigned against the “Refugee Slums of Hong Kong” primarily because they were illegal and hazardous structures that endangered the lives of vulnerable refugees who received insufficient rent assistance to secure proper accommodation. In fact, a Sri Lankan refugee died in a slum blaze in February 2015 and exploding gas cylinders razed another slum a month later. Considerable danger from fire, explosion, flooding, collapse, electrocution and disease was always palpable upon our inspections. Few visitors to the slums were in any doubt that the settling of homeless refugees in such dangerous huts was an egregious act by whoever was responsible for a scheme that started in 2006 and ended in 2016 when the Lands Department clamped down these illegal practices. Presumably there were also policy changes at ISSHK that quietly discontinued the questionable arrangements that generated the slums in the first place and sustained them for a decade beyond the public eye. 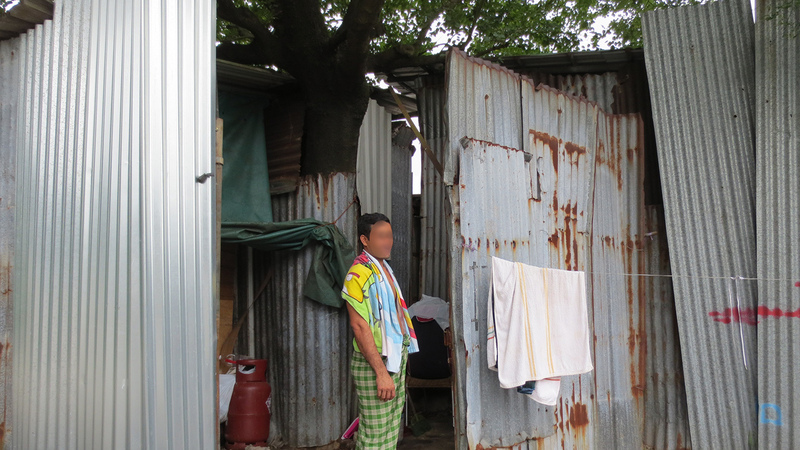 In July 2016, after three years of investigation, the Hong Kong Government decided to arrest and charge 11 (eleven) destitute Bangladeshi refugees who the ICAC allege of masterminding this impressive and widespread criminal enterprise that established and supported several slums in the fields of Ping Che, Fanling between 2010 and 2016. Vision First has learnt that none of the fixers or purported landlords involved have been taken to court, while several staff of ISSHK are collaborating as prosecution witnesses. 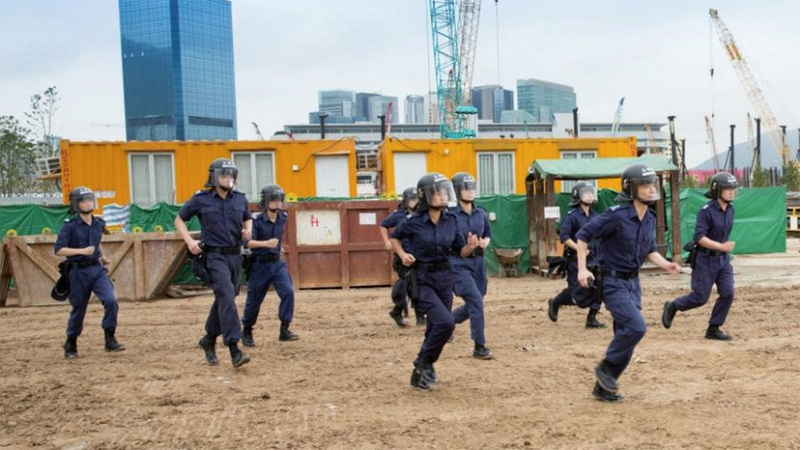 Not one person from ISSHK has yet to be prosecuted. Only the weakest and most vulnerable asylum seekers are being targeted and prosecuted by law enforcement that seems determined to fry some small fish. It begs the question – Are these politically motivated prosecutions? The answer may well be found in the pages of George Orwell’s book - “Some people are more equal than others“. The 11 (eleven) defendants were charged with fraud under the Theft Ordinance. 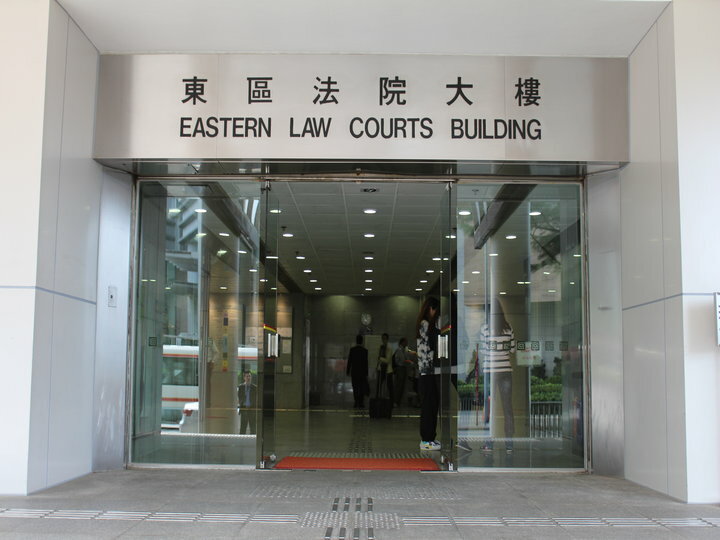 They are accused of fraudulently misrepresenting residential addresses in Tenancy Agreements and housing forms allegedly to defraud ISSHK of rental assistance to live in some of the most disgusting, degrading and dangerous slums to house Hong Kong refugees in the past two decades. All the defendants are illiterate, except for Bengali. They are generally unfamiliar with ISSHK housing procedures and the intricacy of relevant logistical and legal matters. A host of troubling questions emerge about those persons in control of the 69 (sixty-nine) slums and their complex documentary and financial transactions with ISSHK. The asylum seekers were ultimately subjected to living in inhumane, humiliating and degrading premises with no financial gain for many years. Why? It is bizarre that the ICAC alleges that illiterate, destitute, and marginalized refugees allegedly masterminded a complex, pervasive fraud that credited tens of millions of tax dollars into the accounts of fixers, middlemen and purported landlords based on ISSHK having knowingly and intentionally sanctioning animal sheds for human habitation hidden far away from the public eye. It is highlighted that ISSHK is a Hong Kong Government contractor under the Social Welfare Department (SWD). In its capacity to provide services to non-refoulement claimants, ISSHK does not act in a role of an NGO that receives donations from the public. It is known that ISSHK does provide services as an NGO to other persons, but not to asylum seekers and refugees under its contract with SWD since 2006. Assisted by Vision First on a humanitarian basis and represented pro bono by Barrister Mr. Robert Tibbo (who acted for American whistleblower Mr Edward Snowden in Hong Kong) the 11 (eleven) defendants, or the “Bengali Eleven”, have pleaded not guilty to the fraud charges brought against them by the ICAC. They will fight robustly against this overt political persecution and will identify the true offenders. Several the “Bengali Eleven” arrested for fraud lived for years in the “Slum Under The Tree”, photographed above during a visit by Vision First in May 2013. The heading of the South China Morning Post article “Hong Kong’s bogus asylum claim industry exposed: The black-market labour racket and the middlemen making millions” paints a terribly misleading picture that the vast majority of asylum seekers in Hong Kong are primarily motivated to work and make money. In fact the story that follows mainly discusses a very recent trend of some Indian nationals seeking asylum in Hong Kong, via the assistance of middlemen, who were induced under false pretenses to travel here with promises of employment. 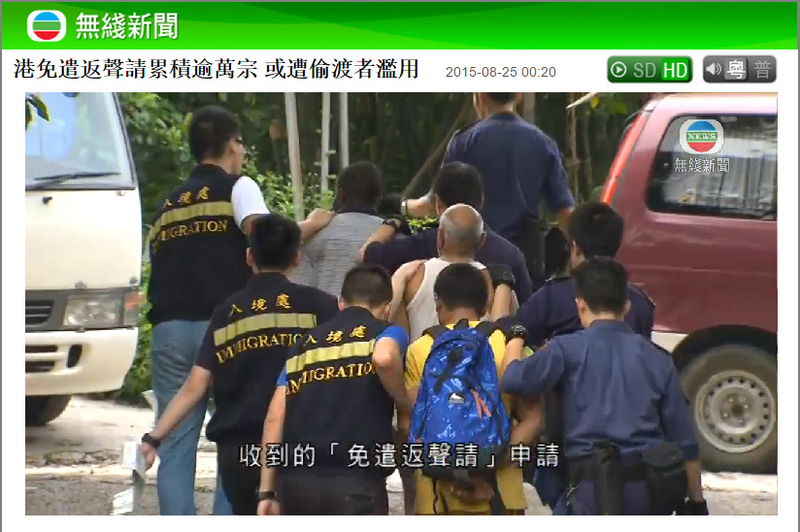 This relatively minor sub-group of migrants do not represent the majority of asylum-seekers who have sought refuge in Hong Kong. While it is true that asylum is sometimes packaged with travel arrangements in India, and in many other countries for that matter, this is hardly a new situation, but one known to experts for over a decade. So why is it today firmly in the crosshairs of government officials? Apparently the authorities are outraged by the blatant exploitation of shortcomings and delays in the USM system which consequently allow claimants to extend stays and work illegally. While work might be the main objective for a minority of claimants, the hard question is: Who is responsible for establishing an asylum process that twice in 20 years was deemed unlawful and today still presents shortcomings that are reasonably exploited? Should the captain blame the water for entering a leaky boat? The Hong Kong courts have repeatedly caught out the Hong Kong Government for its intentionally designed illegal, or vastly incomplete, screening mechanisms. The Court of Final Appeal has been compelled to hold the Hong Kong Government accountable for its refusal to recognise asylum seekers’ fundamental rights to protection under the Hong Kong Bill of Rights, the ICCPR and under article 33 of the Refugee Convention. The Hong Kong Government took an adversarial approach to human rights that caused the majority of delays in the screening of thousands of refugees. One must not forget that the government itself has been recalcitrant. 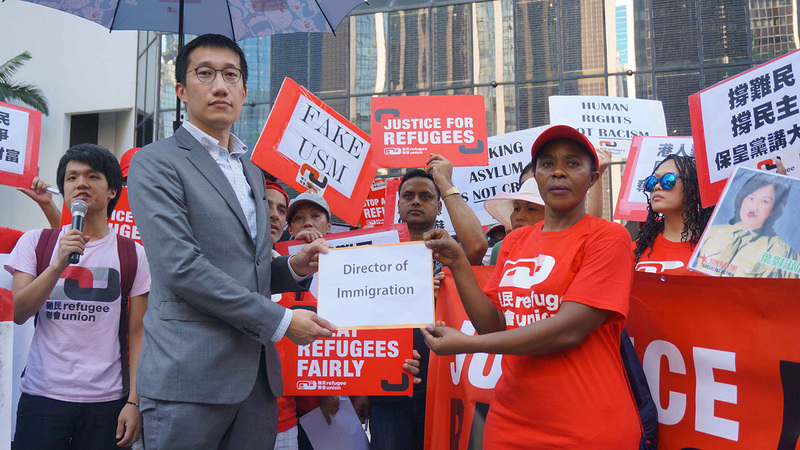 To date the Hong Kong Government has failed to apologise for its obstinate stance that has caused so many asylum seekers to suffer in limbo in Hong Kong, many for over a decade. Looking at the big picture, the actual data must be considered critically: 197 of 10,600 refugees arrested for working (1.86%) is hardly indicative of a crime wave, considering that 100% of asylum-seekers live below the poverty line without employment rights. It is no mystery that welfare is structured with a deterrence objective to discourage claimants from remaining here. In this context, it is doubtful that any refugee makes ends meet without raising funds somehow, as NGOs are certainly not bridging the gaps and have neither the capacity, nor mandate to do so. Less than 200 arrests this year for working illegally strongly suggests something other than abuse is at play here. Perhaps law enforcement is slacking, or more likely the Security Bureau has greater priorities, which are not reflected in PR-driven announcement of joint operations that raid small restaurants, recycling yards, or flats under construction. On the one hand, a heavy immigration hand cannot fix the incandescent social-political problems caused by the failed asylum/welfare system. On the other, a heavy hand and strong PR have the effect of mobilizing public opinion against vulnerable asylum seekers. This is a shameful and irrational attempt to marginalise and demonise innocent and highly vulnerable men, women and children. Hong Kong suffers a severe labour shortage, affecting small businesses in particular, which generates a considerable demand for illegal workers. Jailing refugees who fill this labour vacuum might produce sensational news photos, but were the ban on refugee work stringently applied, grave consequences would be suffered by local employers. Is demonizing refugees an expedient ploy to overshadow the fact that the Hong Kong Government does not hold the moral ground, as it formulated an asylum/welfare system that must be infringed to survive? Arrests only serve to push refugees further underground into the dark, unsanitary and dangerous workplaces where their visibility is reduced as much as their wages. If you stop to think about it, who are the demons? Now a word in defense of Indian refugees. First, there is nothing newsworthy about the percentage they represent that is unchanged since June 2012, according to this press release. Second, Human Rights Watch reported that, “Members of India’s security forces continue to enjoy impunity for serious human rights violations.” Third, it is risible that consular authorities assure India is free of religious, sectarian or political persecution. You may also believe that China does not persecute human rights lawyers, as it recently assured the United Nations Committee on Torture. 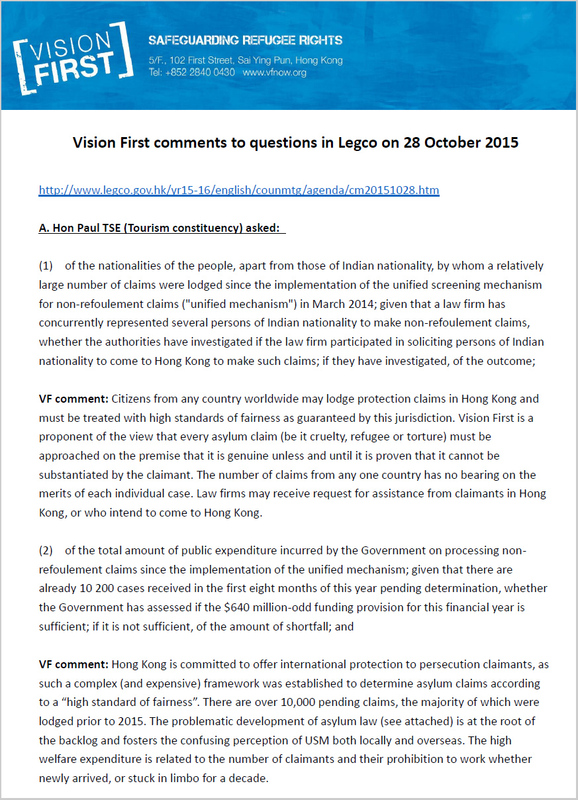 Vision First reiterates that citizens from any country may seek asylum in Hong Kong and their claims must be approached on the premise that they are genuine, unless and until it is proven that they cannot be substantiated by the claimants. Meanwhile, economic needs are among the reasonable expectations of destitute refugees let down en masse by Hong Kong Government, despite assurances to the contrary.